She describes how, during her shift at the Central Hospital, she attended a little girl suffering acute peritonitis, after having already arrived at the hospital with a ruptured appendix. As a result they had to apply the necessary treatment to extract the festering liquid, but they had no antibiotics for her subsequent post-operative treatment. 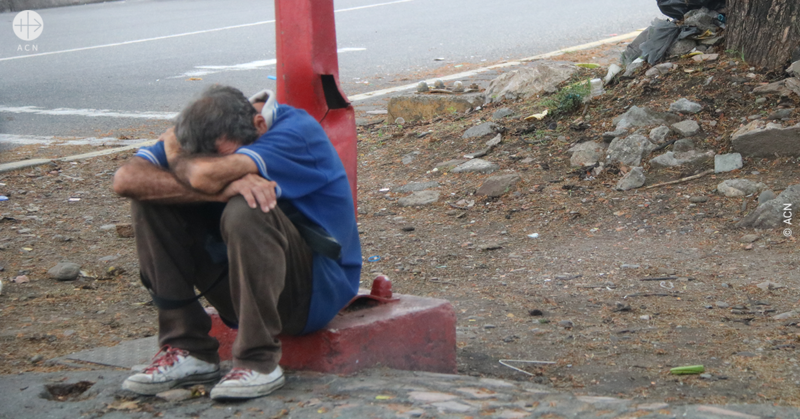 “Her Papa told me, with tears in his eyes, that he could not continue buying the medication, because each treatment cost 50,000 bolivars, and she needed three doses a day”, the doctor explains. At present the minimum monthly salary in Venezuela is 20,000 bolivars, so that the father of this little girl would have had to work and save up almost 8 months salary in order to be able to purchase a single day’s treatment with the antibiotic. 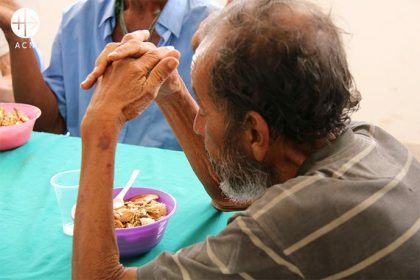 House of the Mercy for elderly people in Carupano, Venezuela. Everyday elderly people come here to get a warm meal organised by the diocese. 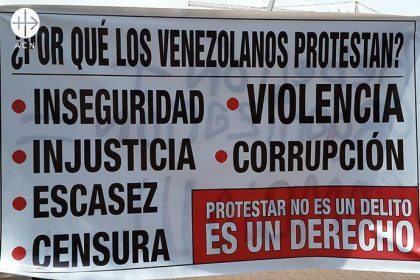 On Tuesday, 2 April the Venezuelan Bishops’ Conference published a message in which they reaffirm “the dignity of the human person and his inalienable rights” and in their turn denounce the lack of respect for human rights and the “crimes against humanity” to which the Venezuelan people are subjected, including “the deliberate imposition of (harmful) conditions of life, such as the depriving of access to food and medication”. “Unfortunately this has been happening in our own country, beneath the complacent gaze of the authorities who have the responsibility of watching over the respect and defence of human rights”, the bishops state in their message.